Tri-County Clinic of Chiropractic is located in Vidalia and Baxley, Georgia. The Doctors at both clinics are put through rigorous trainings to get and maintain their positions in helping you get healthy. Dr. Heidi Reuschling, D.C., C.S.C.S. graduated at the top of her chiropractic class and opened the Vidalia office in early 2009. Dr. Chris Foster, D.C. has already been recognized as a chiropractic protocol master and is the Doctor Trainer for Tri-County Clinic after starting at the Vidalia office in 2012. Dr. Hannah Norton, D.C., is certified in Webster’s Technique, a technique used throughout pregnancy to help expecting mothers have an easier pregnancy and delivery. She is a member of the International Chiropractic Pediatric Association and is currently taking classes through the ICPA to receive her Certification by the American Council of Chiropractic Pediatrics. Our promise to our patients: We are committed to give you 110% to get & keep you healthy. 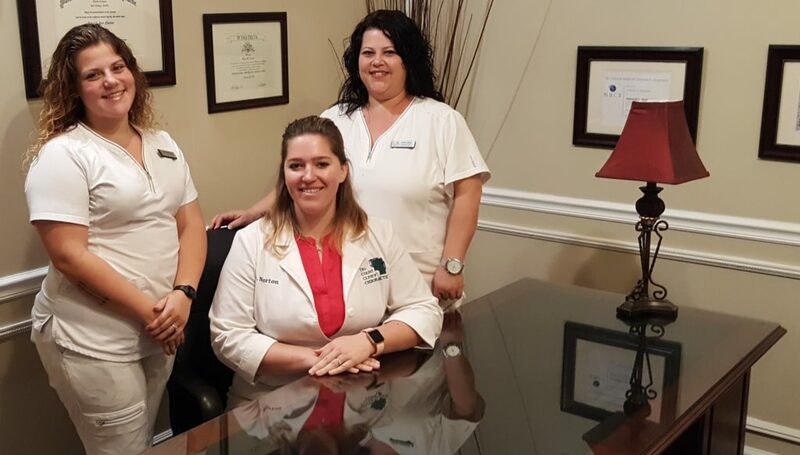 At Tri-County Clinic, we treat spinal misalignments, otherwise known as subluxations, which interfere with the nervous system working normally. By restoring proper alignment to the spine, our patients get results with the following conditions: Back pain, Neck pain, Headaches, Fibromyalgia, Migraines, Indigestion/Heart burn, Allergies, Numbness/ Weakness in the arms & legs, Arm pain, Hand pain, Leg pain, Foot pain, Colic, and many other symptoms.